Over the two decades since grunge engulfed the globe, Nirvana have become US rock's most seminal band, and Kurt Cobain one of it's most tragic and venerated heroes. But one corner of Nirvana's legacy remains largely undiscovered – the 'Bleach' era. So on the 25th anniversary of Nirvana's debut, we revisit their lost classic in style. Alongside a fresh take on the full story of their rise and the making and meaning of their first burst of furious angst, we reprint every archive feature and review, dig out their wildest quotes, examine the inspirations behind Kurt's genius and set the world's greatest music writers loose on the entire Seattle Sub Pop scene. Blow by blow, the birth of a legend. 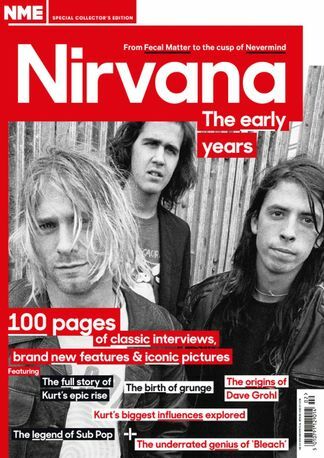 Be the first person to tell us what you think about NME Special Collectors&apos; Magazine - Nirvana and you'll save $5 on your next purchase!